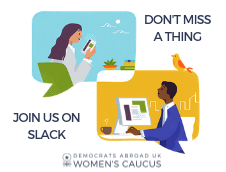 I have been so energized and pleased by what we’ve been doing so far in the DAUK Women’s Caucus, on the legislative and activist front. 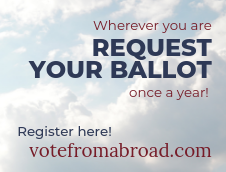 We are constantly placing importance on getting involved in the civic duty that we all have as Americans abroad (voting and voter registration). And of course, aiming to highlight women’s issues and subsequent ideas/tactics/solutions we can execute from London. Recognizing that women have intersecting identities and are therefore impacted by a multitude of social justice and human rights issues, the Women’s Caucus asked its 400+ members to participate in the 2019 march. And what we saw were diverse communities, faiths, genders, race, political affiliations and backgrounds showing up and marching to speak with one voice. We were also marching to raise awareness and support for the US Equal Rights Amendment (ERA), which would guarantee equal rights for women in the US Constitution. Already ratified by 37 states, the ERA will go to a vote in Virginia this year, paving the way for the amendment to be part of the constitution. With some states threatening to revoke their ratifications and others claiming the legislation has expired, there are still many obstacles on the path to legal gender equality. I think we can all agree that this constitutional right is long overdue. I believe that our collective voice (even in London) can support the complete ratification of ERA in the US which was one of the reasons why the march was important and quite symbolic considering that it recalls the protests which revolutionized worker’s rights for women in the US and the UK. 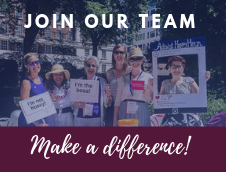 In making our march participation a reality, we were able to have conversations about gender equality with Women’s Caucus members, collected petition signatures for the Virginia legislature and most importantly, emphasized the need to contribute in every way we can to make this amendment a reality. Even from abroad we can help. Overall, I was honored to walk in solidarity with women of all ages, races and color, to talk about issues that are affecting women all over the world such as sexual harassment, gender discrimination, workplace harassment, indiscriminate pay gap, etc. More than that, I believe it is important being amongst women who understand those issues and are willing to fight and speak up. The Women’s March London organizers arranged speakers representing various UK political parties and activist groups who inspired participants on what immediate changes they could make in their daily lives. As we walked along the scenic routes of London that Saturday, I feel we were able to achieve more than a march for equal rights. We were able to communicate a need to have more of these conversations together, knowing that we have strength in our collective voice. As Virginia casts the decisive vote, I hope the world recognizes this strength and joins hands to see this happen. At the end of the day, this affects every one of us. Jihann Pedersen lives outside of London and runs her own consulting firm where she helps clients create quantifiable business impact through executive coaching, strategic frameworks, and tools. Jihann is a seasoned expat, with the UK being the 7th country she has lived in; but Panama will always have her heart.